Washington, DC – May 24, 2011 – (RealEstateRama) — The improving economy and job creation mean growing demand for commercial real estate, according to the National Association of Realtors®. From the second quarter of this year to the second quarter of 2012, NAR forecasts vacancy rates to decline 1.0 percentage point in the office sector, 0.9 point in industrial real estate, 0.5 point in the retail sector and 1.1 percentage points in the multifamily rental market. The Society of Industrial and Office Realtors®, in its SIOR Commercial Real Estate Index, an attitudinal survey of more than 360 local market experts,1 shows a firming up of market fundamentals. The SIOR index, measuring the impact of 10 variables, rose 6.8 percentage points to 57.5 in the first quarter, the highest since the fall of 2008. The Northeast and South drove improvements in market conditions. Vacancy rates are improving, but concessions continue to make it a tenant’s market. Although the SIOR index remains notably lower than a level of 100 that represents a balanced marketplace, this is the sixth consecutive quarterly improvement after almost three years of decline. The last time the index was at 100 was in the third quarter of 2007. A separate NAR commercial lending survey shows 65 percent of Realtors® report lending conditions have tightened thus far in 2011, and six out of 10 failed to complete a transaction this year due to financing problems. Regional banks provide the majority of commercial loans, followed by private investors. National banks are a distant third. “Just as in the residential sector, lending problems are the biggest issue impacting commercial real estate,” Yun noted. The multifamily sector is the only area that has clearly turned the corner, resulting in consistently falling vacancy rates and rising rents. “Solid rises in apartment rents will force some renters to consider home ownership,” Yun said. NAR’s latest Commercial Real Estate Outlook2 offers projections for four major commercial sectors and analyzes quarterly data in the office, industrial, retail and multifamily markets. Historic data were provided by CBRE Econometric Advisors. Vacancy rates in the office sector are expected to fall from 16.3 percent in the second quarter of this year to 15.3 percent in the second quarter of 2012. The markets with the lowest office vacancy rates currently are Honolulu and New York City, each with vacancies below 9 percent. Office rents are projected to rise 0.3 percent this year and another 4.3 percent in 2012. In 57 markets tracked, net absorption of office space, which includes the leasing of new space coming on the market as well as space in existing properties, is likely to be 26.6 million square feet in 2011. Industrial vacancy rates are expected to decline from 13.9 percent in the current quarter to 13.0 percent in the second quarter of 2012. At present, the areas with the lowest industrial vacancy rates are Los Angeles and Salt Lake City, with vacancies in the 7 to 8 percent range. Annual industrial rent should decline 1.5 percent in 2011 before rising 2.0 percent next year. Net absorption of industrial space in 58 markets tracked is seen at 126.1 million square feet in 2011. Retail vacancy rates are forecast to decline from 13.1 percent in the second quarter of this year to 12.6 percent in the second quarter of 2012. Markets with the lowest retail vacancy rates currently include Honolulu; Long Island, N.Y.; and San Jose, Calif., all with vacancies below 8 percent. Average retail rent is expected to decline 1.4 percent in 2011, and then rise 0.7 percent next year. Net absorption of retail space in 53 tracked markets is projected to be 5.4 million square feet in 2011. The apartment rental market – multifamily housing – is continuing to tighten as household formation grows. Multifamily vacancy rates should drop from 5.8 percent in the current quarter to 4.7 percent in the second quarter of 2012. The COMMERCIAL REAL ESTATE OUTLOOK is published by the NAR Research Division for the commercial community. NAR’s Commercial Division, formed in 1990, provides targeted products and services to meet the needs of the commercial market and constituency within NAR. The NAR commercial components include commercial members; commercial committees, subcommittees and forums; commercial real estate boards and structures; and the NAR commercial affiliate organizations – CCIM Institute, Institute of Real Estate Management, Realtors® Land Institute, Society of Industrial and Office Realtors®, and Counselors of Real Estate. Approximately 79,000 NAR and institute affiliate members specialize in commercial brokerage services, and an additional 171,000 members offer commercial real estate as a secondary business. 1 The SIOR Commercial Real Estate Index, conducted by SIOR and analyzed by NAR Research, is a diffusion index based on market conditions as viewed by local SIOR experts. For more information contact Richard Hollander, SIOR, at 202/449-8200. 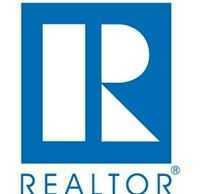 2Additional analyses will be posted under Economists’ Commentary in the Research area of Realtor.org in coming days. The next commercial real estate forecast and quarterly market report will be released on August 25. Information about NAR is available at www.realtor.org. This and other news releases are posted in the News Media section. Statistical data, charts and surveys also may be found by clicking on Research.